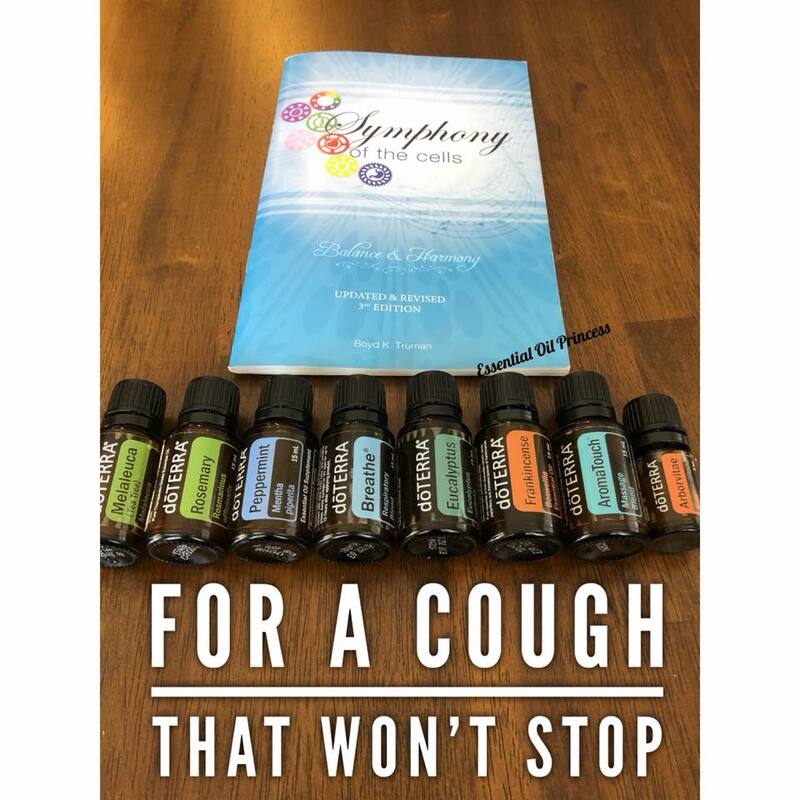 For a Cough… That Won’t Stop! Gotta love back to school bugs… has anyone else been hit with crud yet??! My son developed a cough on Monday that sounded pretty bad. It was the continuous barking type cough that was triggered even by talking. It was definitely time to pull out the big guns and tackle this problem! When I brought him home from school I gave him a symphony of the cells treatment on his back for respiratory concerns. This is a very precise and methodic way of applying doTERRA’s essential oils in a specific way in a specific order to allow the body to respond and accept the oils for the needed results. Even after one application his coughing had greatly diminished but I repeated the same technique again before bed. The next day when I picked him up from school… zero cough! Want to learn more about the symphony of the cells? Click Here for the Book!